After logging 32 years as a Seattle firefighter, Molly retired and, in her words, became “a fat and physically broken retiree” having faced back, knee, wrist and thumb surgeries with assorted hardware installed. 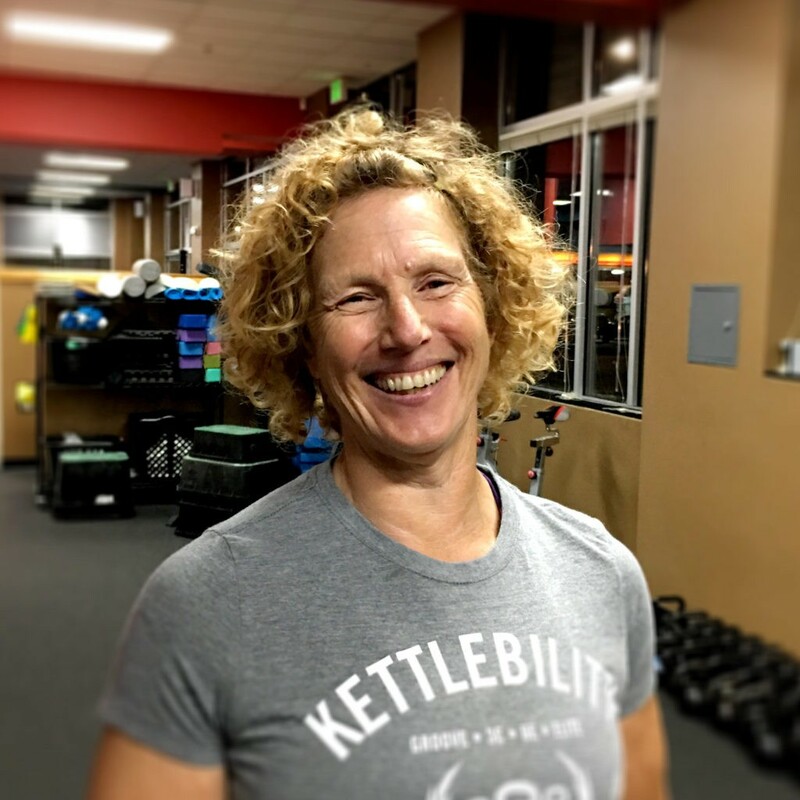 Longing to get back into shape and moving again, Molly stumbled across Kettlebility in 2015. The former swimmer and track and field athlete joined the Seattle Fire Department at a time when few women did the same. In her 50s she ran the Columbia Tower in full firefighter turnout gear and air pack “and lived to tell about it.” In 2012 she rode her bike from Seattle to Washington D.C. for the American Lung Association. In 2016 she pedaled from Seattle to San Diego for Bike the US for MS. And she’s run two half-marathons. Teaching students at Kettlebility isn’t such a leap for Molly. During her career at the Seattle Fire Department Molly worked as an instructor, officer and chief officer in the training division. Molly’s certifications include EMT and GFM1. The Whole 30 is challenging this because foods I thought I couldn’t live without…ice cream…. are no longer that appealing because I NOW KNOW they are the cause of my stomach and intestinal discomfort when I consume them. I’m a hard sell…still working on this. Trailblazer, from Rosa Parks to Amelia Earhart to Jackie Robinson to the other women in my firefighter recruit class. Folks that have a fire in their eyes. In the short term, earn my SFG 1 in April 2017. Longer term, I want to ride my bicycle across the southern tier of the US and along the entire East Coast.